The holiday summer season is well and truly on its way, meaning getting ahead on what's what regarding this season's fashion trends is an absolute "must" right now because there's just so many to choose from! 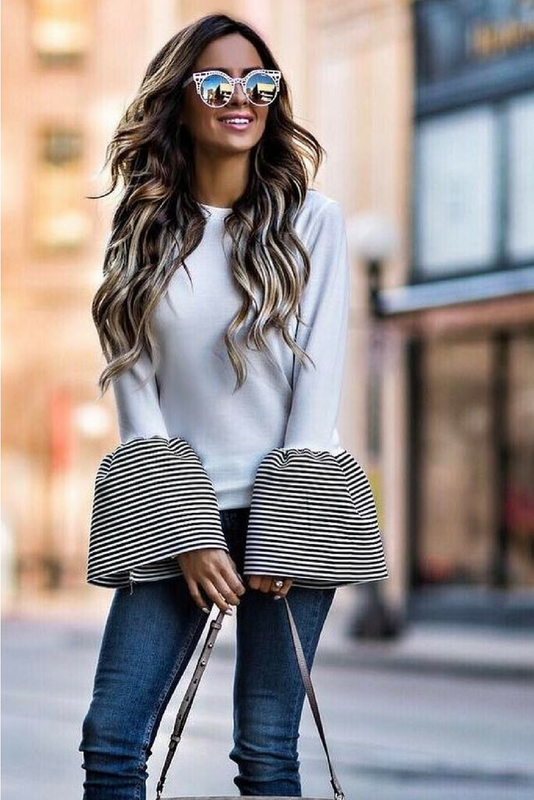 We have the cold shoulder trend, the slitted sleeves trend, the cinched waist trend, florals, frills, and metallics, I mean... the list is endless, which can make anyone paralysed when trying to choose the best trend for their body, budget, and wardrobe. But fear not because today's post is aimed at making that choice all the more easier for you because not only does it breaks down SS17's must-have pieces which also happen to be capsule wardrobe worthy, because we know two things when it comes to fashion trends: And these are 1) spending all your money on clothes just to keep up with the trends like you're Keeping Up With The Kardashians is not always an option (even though we both know that you'd really like it to be! ); and 2) when it comes to getting something for your wardrobe, opting for something that's capsule wardrobe worthy is by far the best choice because it'll carry you from season to season while giving you value for money. So what are some of the must-have pieces from SS17's fashion trends that are capsule wardrobe worthy? Unless you've been living under a rock, you'll know that SS17 is all about embracing the cold shoulder, so anything in a bardot silhouette will definitely tick all the right style boxes! So I anticipate wearing this White Bardot Lace Sleeve Swing Dress from River Island to be a definite fashion moment while you're enjoying an al fresco lunch somewhere exotic, wouldn't you agree?! 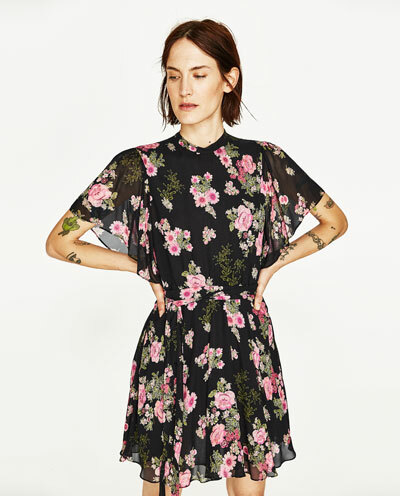 Moreover, this is the kind of dress that will still look ever so chic in the coming years to come because it's simple enough in design, and neutral enough to allow you to jazz it up with a few accessories if you so wish. FORGET FLIP FLOPS, IT'S ALL ABOUT SLIDERS! Right, so instead of your typical bikini, why not opt for this moulded-cup swimsuit from Reiss because it's going to work double, if not triple duty for you whilst you're on your holiday. And here's how: 1st, it'll obviously serve you well as swimwear, but you can also wear this as a top underneath your high-waisted skinny jeans, a pair of heels and you'll be set for a nice dinner date, or alternatively, imagine wearing this under a flowy maxi skirt, while wearing those sliders for an understated lunch outfit! 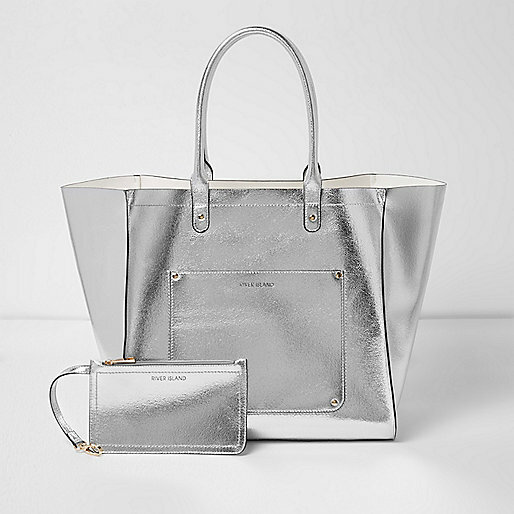 Here's the 101 on metallics: they are always in vogue, which makes investing in something metallic a no-brainer because you know this tote bag is going to carry you from season to season! So instead of your typical wicker basket beach bag, why not opt for this ultra stylish Silver Metallic Winged Tote Beach Bag to carry your swimming essentials during the day and tick all the right style boxes while tanning yourself at the beach?! Nothing says timeless like aviators! I mean, they've been around since the 1920's, which undoubtedly makes them a fail-safe summer eyewear option! 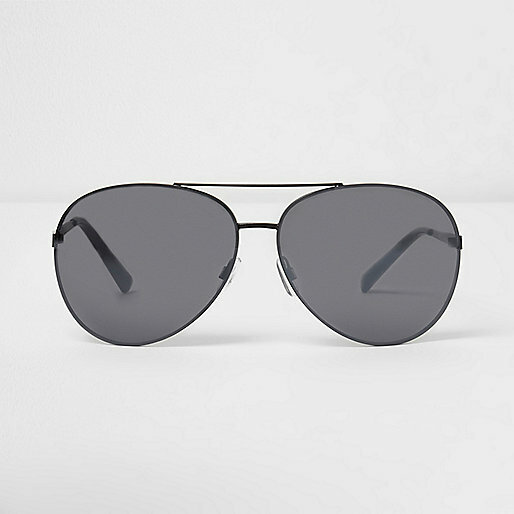 So go for these Super Cool Aviators for something effortlessly stylish! Forget strappy sandals because when it comes to heels for SS17, mules rule big time! Don't believe me, why not check out any serious bloggers' Street style because you'll see that mules do indeed rule! 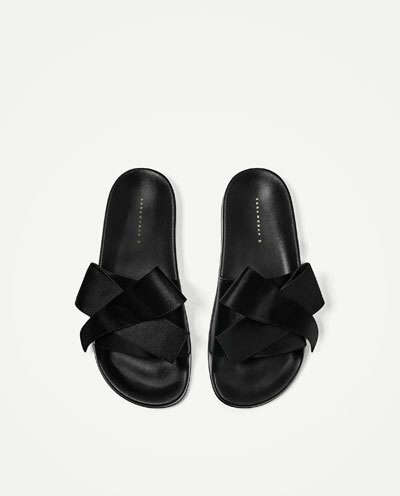 So,;like I said, forget your strappy heels because these Satin High Heel Mules from Zara are a definite must-have! I think you'll agree that any summer wardrobe edit wouldn't be complete without something floral, right?! Which makes this pink floral printed dress with round neck and short frilled sleeves the perfect item because not only will it complete your SS17 holiday edit but it'll easily take you to autumn/winter seamlessly! So voila! That's your SS17's summer capsule wardrobe sorted! Now what's left on the itinerary is to board that plane to somewhere hot and fabulous and have yourself a wonderful vacation! I am so out of touch with fashion, that this is a perfect summary to clue me into the summer fashions this year. 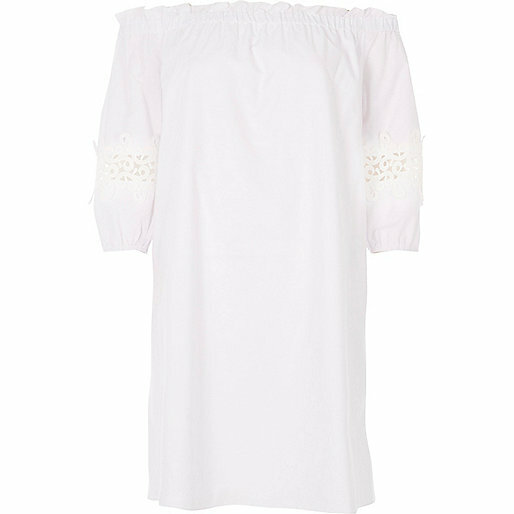 I love white "bardot" dresses, but until now I didn't know that is what they are called! Thank you for bringing me up to speed! Love your choices! I've been loving statement sleeves this summer as well as fun embellishments but totally agree that sunglasses are a MUST. I love those shades and that floral print dress. I need a good pair of mules! Love the ones you showed!